Examine issues and problems with overseas military voting and explore the possibility of establishing a single point of contact for Texas military voters. Consider requirements of the federal Uniformed and Overseas Citizen Absentee Voting Act and review systems established in other states. Compile an inventory of state veterans' benefits, including health care facilities and nursing homes across the state, the state veteran cemetery system, job training programs, educational benefits, and re-employment rights issues, and the Texas Veterans Land Board Loan Programs, and make recommendations for improving efficiency and effectiveness. 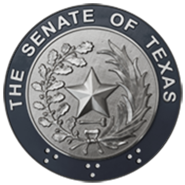 Monitor the implementation legislation transferring the veteran employment programs under the Texas Workforce Commission to the Texas Veterans Commission. Monitor the implementation of legislation establishing a database in the Texas Higher Education Coordinating Board that tracks veterans' usage of the Hazlewood higher education tuition exemption.